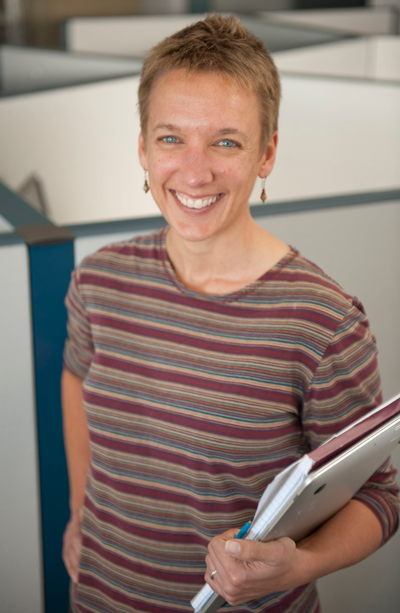 Chandra Krintz, a professor at University of California Santa Barbara, took an interest in computers at a young age. When she was eight years old, her dad who was a principal at a local middle school, brought the school’s only computer – a Commodore 64 – to their home over the summer to make sure it wasn’t stolen. That summer, she was given access to the computer and technical magazines with code. Krintz used this window of opportunity to teach herself how to control the computer and code. To that end, Krintz has devoted her research to developing software systems that a broad range of people can use, making computing accessible to those who are doing interesting science, or who are developing technology to improve our lives but don’t have any experience in computing. She always had an interest, but after reaching full professor and tenure, she has explored applied areas where she have can impact a broader population. For example, Krintz identified the need to advance sustainable agriculture with technology and brought computing technology to farmers. In a recent project called SmartFarm, she investigated a novel, unifying, and open source approach to agriculture analytics and precision farming. SmartFarm enables farmers to extract actionable insights from their data, to quantify the impact of their decisions and environmental changes, and to identify opportunities for increasing farm productivity. Part of the mission of the Computing Research Association (CRA) is to mentor and cultivate the talent development of computing researchers at all levels. 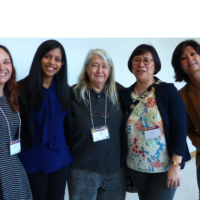 Several programs led by the Committee on the Status of Women in Computing Research (CRA-W) focus on increasing gender diversity in computing. This new column, “Profiles in Computing,” showcases successful women in computing, who donate their time and energy to mentoring future generations and strengthening the community of female computing researchers through CRA-W initiatives.